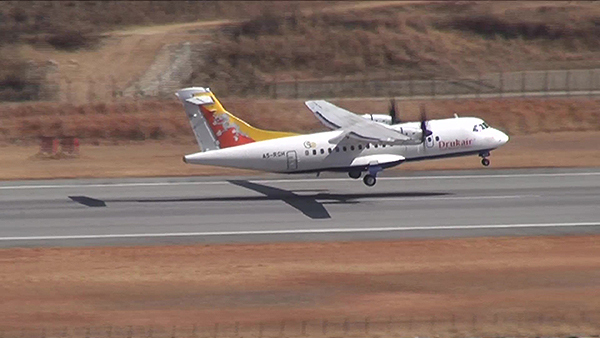 The National Airliner- Drukair’s ATR 42-500 resumed operating domestic flights to Bumthang and Trashigang yesterday. The aircraft was grounded on 22 January after four components in its engine started giving problems. Drukair officials said, the four failed components have been replaced. They said no further repairing works are required on the components since ATR is about 15 years old, and the probability of facing technical glitches is high. Also, the core engine has been changed in line with the scheduled engine change last week, and the old one was sent to Singapore for maintenance. However, Drukair added, the ATR will not fly for two more days towards the end of March this year to install second engine. After that, the aircraft will not have to undergo scheduled maintenance until next year.